Most people don’t realize this, but I ‘celebrate’ Christmas twice a year: in August and in December. Working for a craft/hobby magazine, the Christmas issue is planned well in advance and is photographed in the summer. It’s always strange to have Christmas trees up in the middle of summer. Weather during this time of year is usually 100 degrees. Not exactly Christmas weather! While I can’t show you any sneak peeks at the projects our photographer shot, I can show you a few behind the scenes shenanigans I shot. Enjoy. 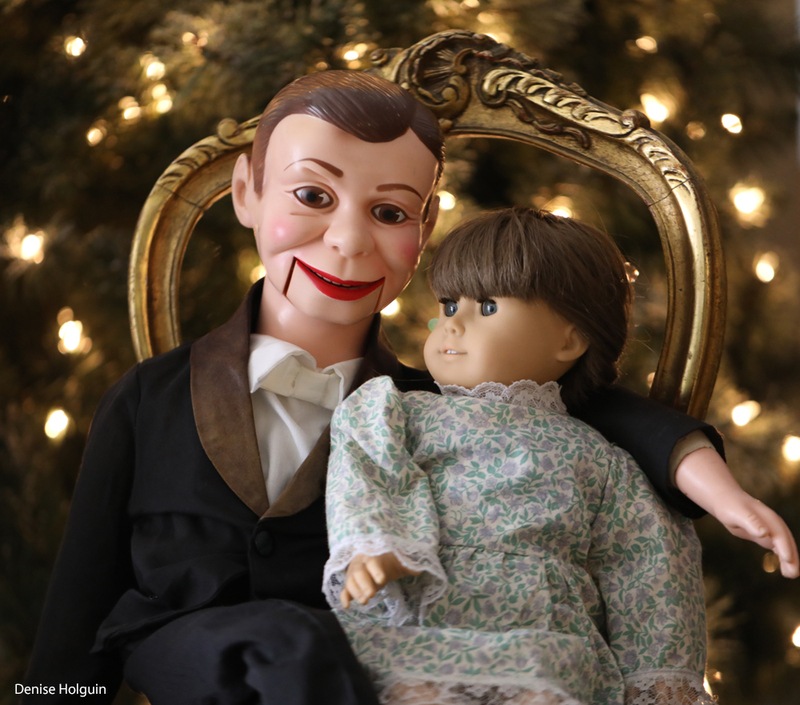 You might think it’s odd to take a ventriloquist’s doll to a photo shoot. But the studio asks for him by name. Percival has become somewhat of a celebrity. Here we see Percy posing for his annual Christmas card photo. He’s a natural in front of the camera. Percival and a super model. The shot below happened by accident. 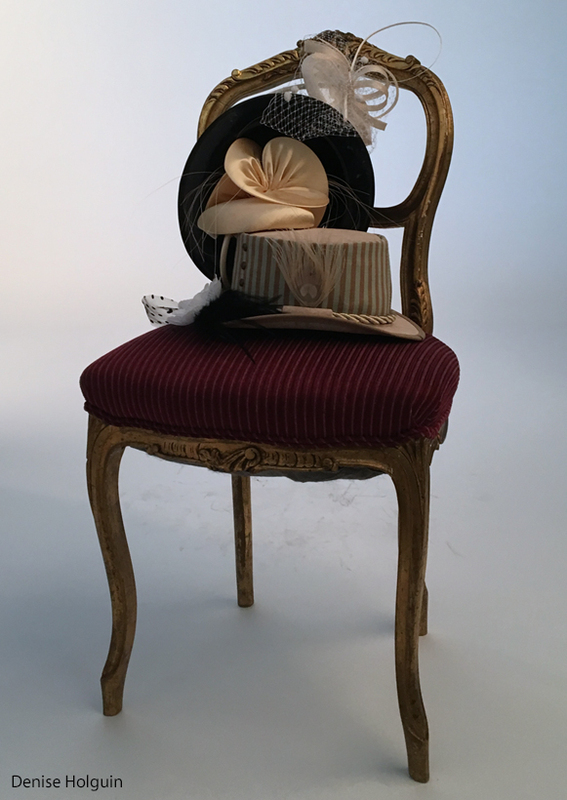 The chair and hats were props we used for another shot with a model. As we finished with the hats, we stacked them haphazardly on the chair. Once finished, the stack of props became an interesting photo. I placed the chair on the white sweep where the model was photographed (you can see the footprints on the paper) and took a quick shot. It’s so hard to stay out of the way of our real photographer – but he is patient enough to put up with my shenanigans. Most of the props in the photo above are mine. And I own two of these small chairs. The hats are just a small part of my collection. I do love collecting stuff! Gorgeous and so much fun to see those behind the scenes. 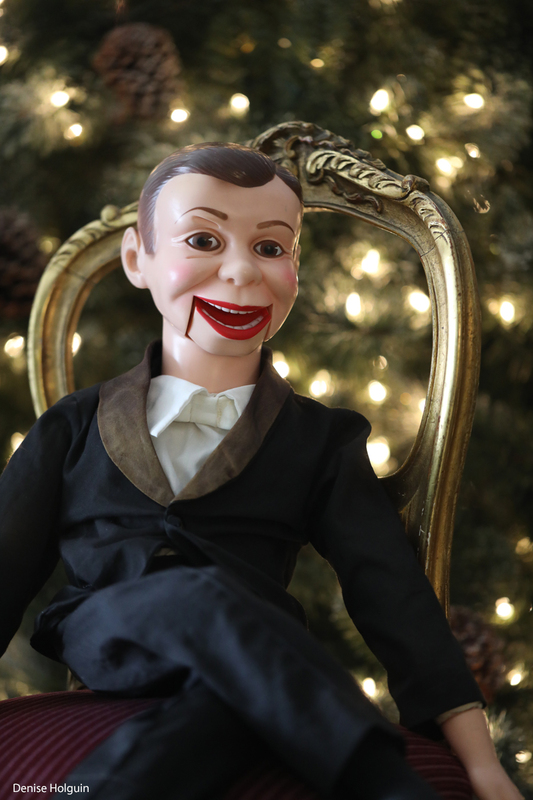 But do tell…is ventriloquism on your list of talents? Oh, I wish! I just like to collect creepy dolls! Previous Previous post: What motivates you, Tore?